For more than five decades, the lawyers of Gordon & Pikarski have stood ready to aid businesses and individuals in Chicago and beyond with counsel regarding land use, zoning, real estate taxation and more. Gordon & Pikarski is a boutique law practice focused on providing businesses with real estate and zoning services, they need to extend their operations or expand their property. They are capable of protecting their clients’ investments through real estate tax services for businesses or multiple property owners. Boutique services — Gordon & Pikarski houses comprehensive commercial real estate practice areas under one roof, coupled with attorneys capable of addressing real estate taxation matters. Their lawyers are capable of addressing any issues that face multiple or commercial property owners. Experience — Every attorney with Gordon & Pikarski has more than a decade of experience practicing solely within his or her field. Clients are not passed off to support staff or paralegals, but work directly with those lawyers handling their case. Find out more about their practice and the values that the firm prides itself on by contacting our office and scheduling an appointment today. Real estate — Gordon & Pikarski focuses on real estate and related services. Their attorneys have decades of experience handling purchase and sale contracts, the legal requirements for condominiums and commercial real estate and commercial lease issues. Zoning — Zoning is an important and often difficult topic that developers, professionals and businesses must face. Matters such as variances, special use permits, zoning amendments and public entitlements can greatly influence planning and budget. Land use — Planning or expanding a business requires ensuring the property it is located on complies with land use restrictions put in place by Chicago’s Land Use Planning and Policy Division. New construction projects must go through a particular process before they can commence. The attorneys of Gordon & Pikarski help businesses with this process. Condemnation —Property that is condemned or qualifies for eminent domain invokes certain legal procedures. Understanding rights and options of property owners requires an attorney well versed in Illinois property law. 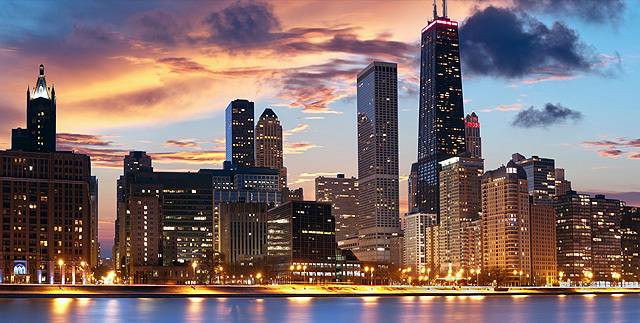 Real estate taxation — Property tax exemptions can be critical to businesses in Chicago and the collar counties. The Chicago attorneys of Gordon & Pikarski have practiced before all three boards of review, and can guide businesses through the legal process. To learn more about their services, contact Gordon & Pikarski and find out more about the benefits of their practice. Business and property owners should have experienced legal counsel at their side. The law offices of Gordon & Pikarski in Chicago, IL protect clients from costly liability and work to shield them from unfair tax assessments. To learn more about services available, contact them at 312.782.9351 or online and speak with one of their lawyers.